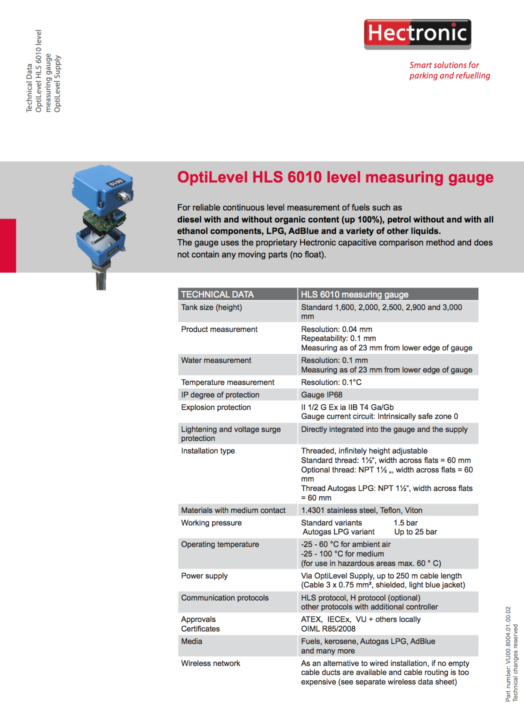 The Hectronic range of tank gauging products offer reliable indication of tank fill level, water content and temperature measurement in one single sensor. The HLS 6010 series provides measurement accuracy of +/- 1mm and there are variants available for the measurement of liquid hydrocarbon products including Petrol, Diesel, Fuel Oils and LPG. Hectronic also offer probes with integrated density measurement and specialised versions for the measurement of AdBlue. 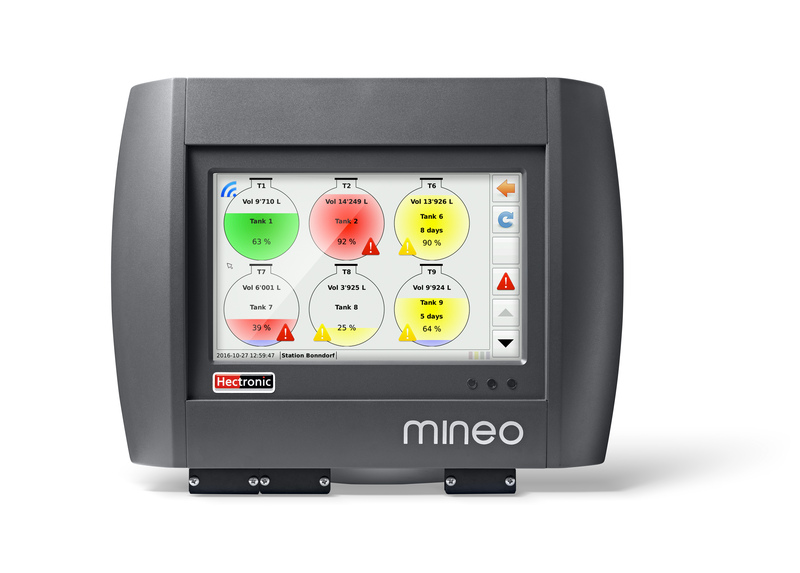 The Mineo Touch Controller from Hectronic has a host of versatile functions such as precise fill level measurement, automatic alarm function, delivery recognition, static leak and theft detection and internet connection. 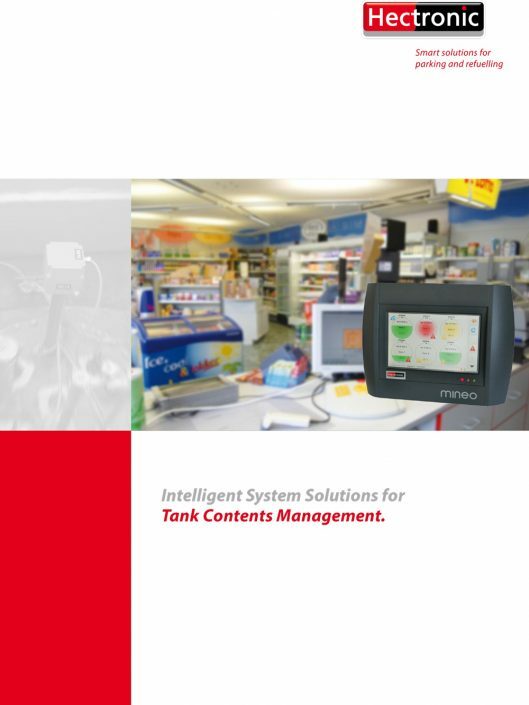 The modern 7″ colour touchscreen provides a user-friendly visualisation of all the relevant tank content data and enables high-performance tank content management for up to 32 tanks. In addition, the Mineo OptiLevel Touch Controller also offers several digital interfaces enabling optimal communications with external devices (POS, FCC, BOS, LAN, printer, modem etc.). This means that tank fill level data can be called up externally and alarm signals can be forwarded to external systems. The Hectronic range of products is fully compatible with the European Automation Projects web platform providing both local and remote tank farm management. European Automation Projects are pleased to offer the Hectronic range of products which provide reliable high accuracy and long service life. European Automation Projects offers a complete range of measurement and metering systems designed and built at our UK headquarters. 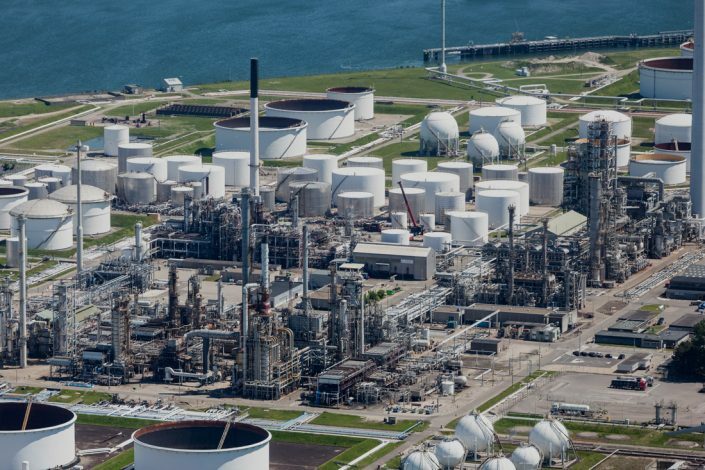 These systems universally supply dynamic real-time data acquisition through our web platform.